Oil is down again. The price of Brent crude, which moves US gasoline prices, is below $100 a barrel for the first time (save a single month) in five years. Why am I not celebrating? No, I don’t own a portfolio of oil stocks. Instead, I am afraid that the recent fall in world oil prices may mean that we have missed our best chance for a better energy policy. What would a better energy policy look like? And no, the full-cost argument is not just about climate change. Personally, I think there is a strong argument for counting climate change among the spillover effects of fossil fuel use, but if you are a skeptic, there are plenty of other, very tangible external costs to consider. Related: Will Coal Be Cut Entirely From German Energy Mix? The estimates in the IMF working paper do not include the national security costs of import dependence. Those costs, although hard to quantify, are obviously substantial for the United States, the EU, and others. For years, economists have supported a carbon tax or a cap-and-trade mechanism as ways to ensure that fossil fuel prices reflect the full costs of their production and use, but the idea has never been politically popular. In the political calculus, the short-run pain of higher prices always seems to outweigh the promise of long-run gains. One way to get around the short-run/long-run problem would be to institute a price-smoothing tax that rises and falls inversely with energy prices. As applied to petroleum, Congress would establish a floor oil price of X dollars per barrel of crude. Whenever the world market price P fell below X, an oil tax of T dollars would come into effect to fill the gap, with the amount of tax set according to the formula T=X-P. Whenever the price rose above the floor, the tax would be zero. Nothing could be simpler. A couple of years ago, at a moment when the Libyan crisis had sent prices soaring, I proposed such a mechanism for gasoline taxes. The idea was not original—Charles Krauthammer had written about it in 2004 and others have mentioned it since, including, recently, the editors of Bloomberg View. Interestingly, at least one major auto dealer has endorsed the idea as a way to end the uncertainty of a market in which demand swings wildly from SUVs to economy cars and back as the price of gasoline rises and falls. Right now, for example, as prices swing down, the Wall Street Journal reports that Chevy dealers have just 59 days’ worth of gas-guzzling Suburbans in stock compared with more than three months’ worth of subcompacts and all-electric Volts. Such a tax would reduce uncertainty for manufacturers and consumers, too, and would be a far more effective way to promote fuel efficiency than CAFE standards and other command-and-control regulations. There is no reason the idea of a price-smoothing tax has to be limited to motor fuels. It could work just as well in the form of a carbon tax. The carbon tax could be indexed to the price of crude oil, for which global benchmarks are widely available, or to an appropriate weighted average of prices of coal, oil, and natural gas. There is just one catch—the timing. The political climate for introducing a price-smoothing tax is at its maximum when oil prices are high. Suppose, for example, Congress wanted to set a price floor of $100 per barrel of crude oil. If it did so when the price was $110, no one would feel an immediate pinch. The tax would take effect only at some later date, when the world price fell below the floor. There would never be a moment when the tax would cause an increase in wholesale or retail energy prices. Any time from early 2011 to the middle of 2014 would have been a great time to institute a $100 per barrel price floor. Early 2008 would have been a good time, too, although the window of opportunity was shorter then. Unfortunately, the recent drop in global prices has closed the window. We have missed another chance to put this promising idea to work. Too bad, but let’s not forget about it. As long as no effective mechanism is in place to encourage conservation, another surge in global energy prices is inevitable. Let’s be ready to roll out the price-smoothing carbon tax the when the timing is again right. In a 2012 blog post and earlier articles, economist David Henderson raises a technical objection to a price-smoothing oil tax. He bases his objection on the notion that the OPEC cartel acts as a monopolist in world markets, raising prices above production costs in order to maximize its members’ profits. Among other considerations, the price OPEC sets depends on the elasticity of demand. The less elastic demand, the higher the profit-maximizing price. The points Henderson makes about elasticity and monopoly are sound enough, but I have two reservations about their practical significance for US policy. First, Henderson’s argument assumes that the tax is “aimed at undercutting OPEC’s monopoly behavior.” If, instead, the aim of a price-smoothing tax is to encourage conservation, then the Henderson effect would be an enhancement, not a flaw. After all, in a competitive world oil market, anything the US did unilaterally to encourage conservation would, by reducing total demand, cause the global price to fall. That would encourage consumption elsewhere, undercutting the aim of conservation. The Henderson effect, instead, posits that a price-smoothing tax in the US would induce an increase in the world price, thereby reinforcing its effectiveness as a conservation measure. Second, Henderson exaggerates the extent of OPEC’s monopoly power. He bases his discussion on an assumption that the US consumes 25 percent of the world’s oil and that OPEC exercises effective monopoly power of the world supply of oil. Those figures were probably already out of date when Henderson wrote in 2012, and since then, both US consumption and OPEC’s market share have fallen further. As of 2014, the United States consumes only 20 percent of world oil production. US imports have fallen even more rapidly than its share of world consumption. Since peaking in 2006, US they have fallen by more than a quarter. Furthermore, the bulk of the remaining imports come from Canada and Mexico, neither of which is a member of OPEC. US imports from OPEC countries are equal to only about 8 percent of world oil production. Taking these trends into account, the effect of a unilateral US price-smoothing tax on global demand elasticity would be significantly smaller than Henderson suggests. In short, the Henderson effect, if it operates at all, is weak and getting weaker. To the extent it does operate, it reinforces the goal of global conservation rather than undercutting it. It is more of a theoretical curiosity than a telling a critique of a price-smoothing tax, either on gasoline or on carbon. I have long supported this excellent idea but it is just that: a rational idea that would have many benefits that will never, ever be enacted because of our stick their heads in the sand politicians. Because of all the vested interests/established power bases we have become a moribund country. It will take a SEVERE crisis to break up the status-quot and allow us to move forward again in meaningful ways. Should Republicans pay 20% more tax, if they are labeled a "Climate Denier"? Should we round up all the Jews? The power to tax is the power to destroy. The second, related issue is external cost, the cost incurred by a contract between two parties, which lands on a third party. This ultimately relies on ideology. What is the cost of a gay marriage license from the Vatican? Infinity. What is it in San Francisco? Probably less than $100. If external cost is a valid issue, it must apply to all contracts. This opens the door to an infinity of plaintiffs who object to the deal. This is the way to madness. Who decides? The folks in Washington D. C. (a place not known for economic decisions). Peabody Coal? The Sierra Club? Or the free market in which "gas-guzzling Suburbans" are preferred over Volts by a large margin? The unstated reason why the US is using less fuel is because there is no work and people are cutting back on fuel. This will continue as the cost of carbon skyrockets, which is the reason why the Senate changed hands. America needs cheap energy for full employment and only carbon combustion and uranium fission can meet the need. People who promote a carbon tax are in favor of high unemployment. This idea died in last week's votes. 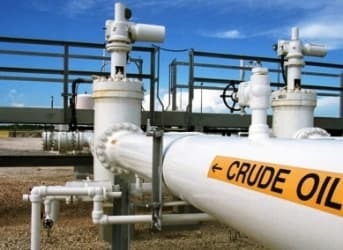 This article states that US imports from OPEC is 8% of world production. That is not even close to factual. Total production is somewhere near 80+ million barrels/day. 8% of that would be 6.4+. Our total imports in 2013 were 7.7 and it is decreasing. OPEC is a small part of our imports as stated in the article. A more realistic number is about 1% of world production. Did you mean 0.8%?